Queen of anti-inflammatory eating, integrative nutritionist, Jennie Miremadi recently whipped up this original smoothie recipe and we’ve been obsessed ever since. Using Pressed Juicery’s tart cherry shots, this detoxing blend is loaded with benefits. Tart cherry juice is an underrated superfood. The tangy little red fruits can lower inflammation, an underlying factor in a range of pain, low-immunity and a handful of degenerative diseases. Learn all about it from a doctor we trust here. Add ingredients to Vitamix (or other high-speed blender) and blend until emulsified. Adjust stevia and/or honey to taste. Pour into a glass. Serve and enjoy. 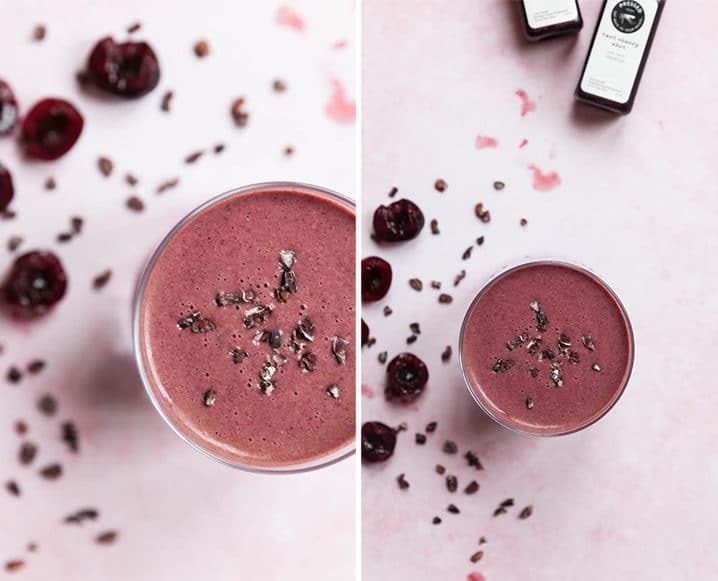 Share the post "Make This Potent Anti-Inflammatory Smoothie With Tart Cherry + Cacao Nibs"